The new iOS game The Simpsons: Tapped Out is so popular that EA had no choice but to remove it from the App Store. Back in February, Electronic Arts pulled the iOS game Battlefield 3: Aftershock from the App Store because it sucked so hard that its mere existence was an intolerable affront to good taste. Today, the publisher removed The Simpsons: Tapped Out for the complete opposite reason: it's just too damn awesome for its own good. The problem, to put a bit of a finer point on it, is that the "overwhelmingly positive" response to the game has clobbered the servers, resulting in serious connection and lag issues. Players who already have the game will still be able to play, but everyone else will have to wait until EA gets things squared away. 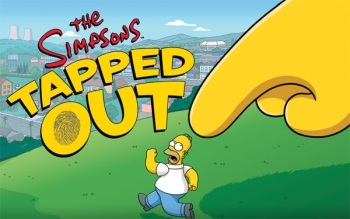 "To ensure current players have the best possible experience, we've temporarily removed The Simpsons: Tapped Out from the App Store to limit the game's server capacity to its current players and address connectivity and lag time issues," EA said in a statement. "As soon as we have resolved these issues to handle greater player capacity, we will return The Simpsons: Tapped Out to the App Store so that even more people can enjoy this 'life-ruiningly fun' game. Meanwhile, thanks to everyone for their patience, and we will provide an update as soon as we have more information to share." Pulling a game is never a good thing but if it must be done, I suppose this is the best possible reason to do it. There's no word at this point on when the game might return.